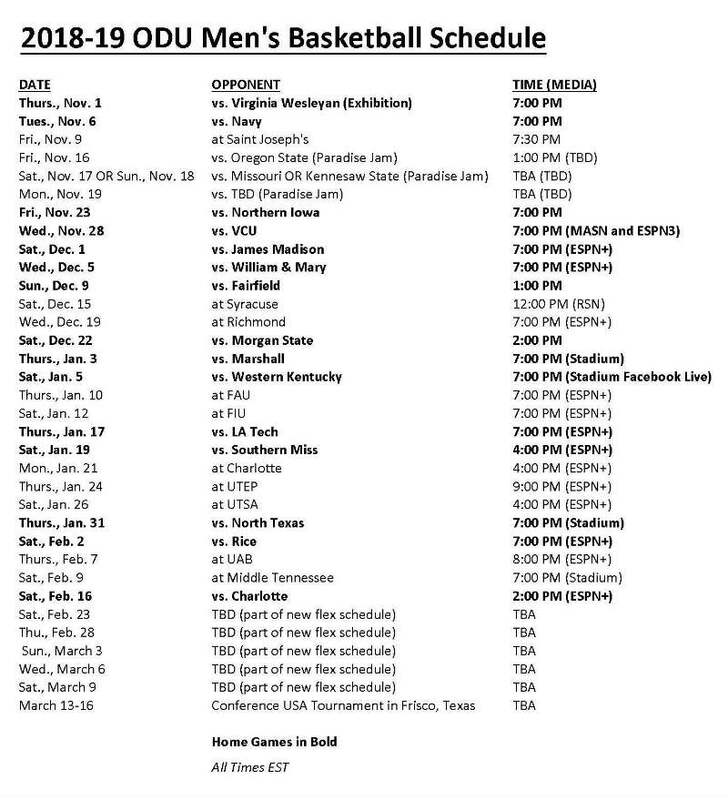 Conference USA and the ODU men’s basketball program have announced the media package for the upcoming 2018-19 season. Conference USA’s “Bonus Play” portion schedule will also have games on CBS Sports Network, Stadium and beIN SPORTS. The first round of the 2019 C-USA Basketball Tournament will air on ESPN+, while the quarterfinals will be picked up by Stadium. The semifinals and final will be on the CBS Sports Network.